The Ramon Llull University has hosted the 3rd ACM Inclusive Education Workshop. Mental health in the university context featured this meeting that brought together members of the entire university community and experts from universities and institutions in the field of education and inclusion. And which was the ‘hook’ to bring together forty professionals in Barcelona? It was not only the fight against the stigma of mental illnesses, but the increasing demand ways to respond to situations arising from the mental health field, which have been addressed by the care services of the university community in recent years. Faced with this need, the third ACM inclusive education workshop aimed to create a forum to share experiences among universities, reflect on the increased awareness and on the needs of the wide range of people at the university to promote strategies that allow to establish a framework for the welfare of the entire university community. The rector of URL, Josep Maria Garrell, expressed his satisfaction to host this 3rd Workshop and pointed out that Deusto, Comillas and Ramon Llull promote and put into practice the “university for all” concept. As the Rector pointed out, “The university understands diversity as a value of the person and human nature, and it should be able to welcome and support all people both teaching and administrative staff or students, regardless of their abilities. 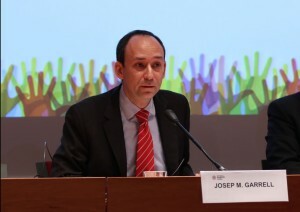 Furthermore, Garrell emphasized the effort and commitment made by people working at the universities to address diversity and ended his speech with a message for those attending: “please, try to detect everything we do wrong, either by action or by omission so that we can continue to grow”. Mª Celeste Asensi, director of the Unit for the Integration of Persons with Disabilities at the University of Valencia, as an expert who has been working in this university field for more than 25 years, put forward several real cases of students, teaching and administrative staff, to reflect on how to avoid violating the rights of the parties; and to what extent the family, teachers or colleagues should be informed without violating data protection. 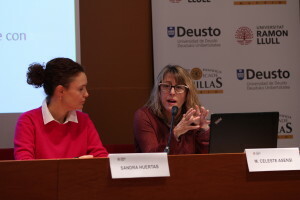 In order to delve into this aspect, Asensi shared a video by Ricard Martínez, a lecturer at the University of Valencia and an expert lawyer in data protection, who explained what should be done and what can be done at the universities. According to this lawyer, preventive policies are advisable to avoid further legal problems and, in this sense, he recommended three preventative action protocols: the first one for students, the second for teachers and the third focused on safety. 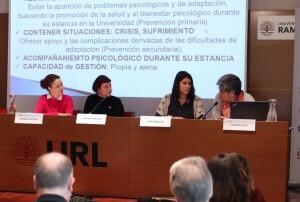 Pilar Dotras, member of the Personal Guidance Service (SOP) and lecturer at the Faculty of Psychology, Education and Sports at Blanquerna-URL presented the guide for university students with mental disorders. Dotras highlighted that the Personal Guidance Service is currently aimed at the entire university community, through individual and collective actions, and that it is a standardized support resource that facilitates the inclusion of student diversity by promoting autonomy and decision making. Dotras particularly focused on the idea of inclusion and pointed out that it implies a context-based paradigm shift and involves awareness in the first place, policies in the second place and, finally, actions and resources. 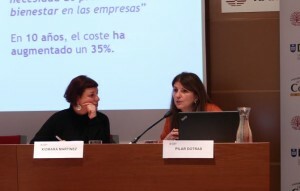 Then, the Deusto psychologists Begoña Rueda and Inés Zubeldia and the director of the Social Work Unit of the ICAI-ICADE Comillas Pontifical University, Sandra Huertas, took part in roundtable discussion on attention, accompaniment and support to this group. The situations of an international student that may need some form of support range from emotional overflow (before a grief or loss of a loved one, the appearance of a disease, a couple crisis, a family problem, etc. ), to varying forms of communication depending on cultural diversity or substance abuse. Other intervening factors were also pointed out, such as family space, socio-economic and cultural factors, cognitive rigidity or creativity, relational models, students’ background and life stage, personality, maturity and interpersonal skills, communication codes, vital and academic stressors, or protection and vulnerability factors. 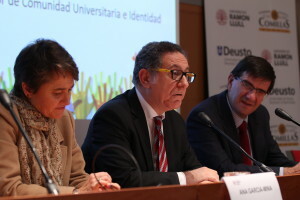 Carlo Gallucci, Vice-Chancellor of International Relations and Students at URL, jointly with Ana García-Mina and Juan José Etxebarra, vice-rectors of ICAI-ICADE Comillas and Deusto respectively, closed the event highlighting that the three universities are fulfilling their mission and are committed to socially responsible innovation.